We’re located in the CBD next to World Square with an abundance of bars, restaurants, cafes & a Coles seconds away. 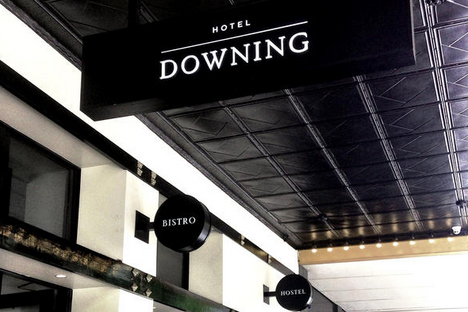 Guests enjoy FREE WIFI with free laundry & discounts at the bar downstairs, Hotel Downing. 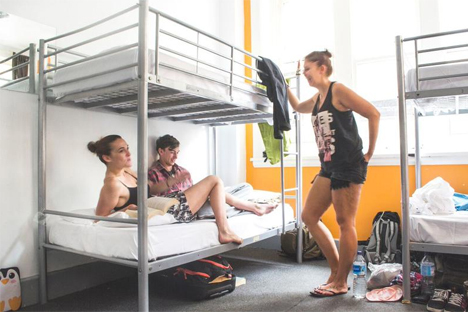 We have 4, 6, and 8 bed mixed dorms available as well as 3 person private rooms (1 double and a single bed) . All rooms have shared bathrooms, fans & FREE WIFI. Unfortunately, we currently do not have lockers, but you can store your valuables in the office. 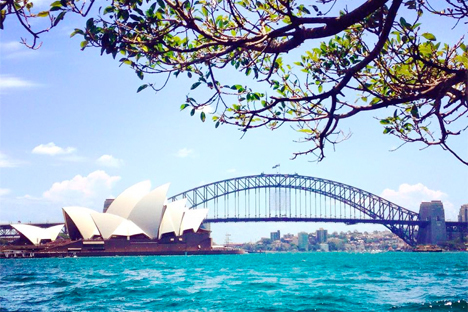 Please enquire about our long term rates if you plan on staying in Sydney a while! We are only a 15 minute train ride from the Airport, next to Museum station and minutes walk away from the Sydney Opera House, Hyde Park, Town Hall, Central Station, Circular Quay and Darling Harbour. Another fun-filled movie night at The Downing Hostel! Thank you to all the guests who came! WHO WANTS POPCORN?! Movie nights every Monday at The Downing Hostel. Make sure you vote for next weeks movie!